We like to think that there’s a plan. In football, in life generally. When a person makes a statement, hopefully they’re doing it for a reason, and hopefully that statement has some sort of genuine meaning, and hopefully that person will follow through on whatever that meaning is. Hopefully. Not always, though. Sometimes people say things that they just don’t mean, and while that’s a slippery slope of justification for some things, everyone has done it. Your mouth opens, the thread between conscious thought and vocal cords gets a little hazy and before you know it, words have emerged that you just don’t recognise. “Why the hell did I say that?” you’ll curse, and for the majority of us it’s fine, because only you and the cashier at Boots, or a friend who will frown at you, or a co-worker you didn’t like anyway, will know. Our statements are generally not recorded and brought up again and again and again, they do not come to define us or a part of our work. Some people do this more than others. Jurgen Klopp is one of those people. This is a man who likes to talk. “I can speak like a waterfall,” he once said. He’s a man who greets most situations with that cavernous grin, inviting us to inspect every last one of his molars while he says something quotable. To some people his constant excitement about everything seems affected, and is thus irritating, a little too close to wacky for anyone’s liking. But it’s quite endearing really, the idea that someone has this much enthusiasm for the game rather comforting, in a world where it can all get pretty dispiriting and apathy is an easy route to take. Klopp’s a dream for quote-snaffling journalists, always ready to provide a nice line, and do so with a smile. 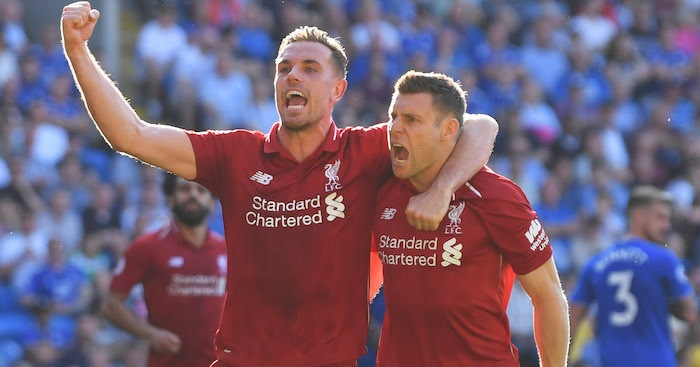 His interviews after particularly tense or emotional games are usually worth watching, notably the one after Dortmund’s Champions League semi-final win over Malaga a few years ago, or when his Liverpool side beat Manchester City last season. There’s something endearing about a man who can pause an interview, following a fine performance and victory by his own side, to laugh at Bayern Munich losing a game. The first thing to note is that this was a gift for the people putting together the TV package. 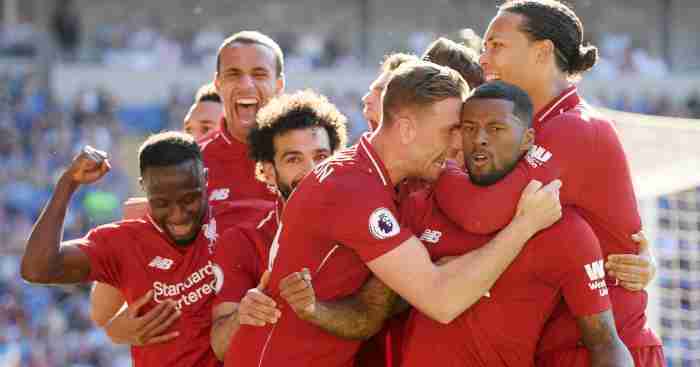 Initially Klopp’s words were accompanied by a gentle montage of Arsenal players smoothly passing the ball to each other, soundtracked by ‘Flower Duet’ from the opera ‘Lakme’ (or ‘that classical music from the old British Airways ad’ to you and me). Then as soon as he said heavy metal, the montage flipped to him running around screaming at people, the yellow wall bouncing and Dortmund players dive-bombing into tackles, with a version of ‘Battery’ by Metallica blasting away. Not the most subtle imagery, but it worked. Klopp went on to emphasise the point. “He can have his red wine,” he said in the same interview, this time about Alex Ferguson. “I prefer beer.” All of this fits rather nicely with Klopp’s personal image. If nothing else, it’s also easy to imagine Klopp at Download festival, wearing a patch-covered denim jacket and a 20-year-old Anthrax t-shirt that’s a size too small. Some Liverpool fans took this up, and made a banner in which Klopp’s face was superimposed onto AC/DC’s Angus Young: granted, this might not be especially notable since, as we know, Liverpool fans love a banner, but it was a pretty good image. The statement itself was enough to nab the attention, but there was some substance behind it too. 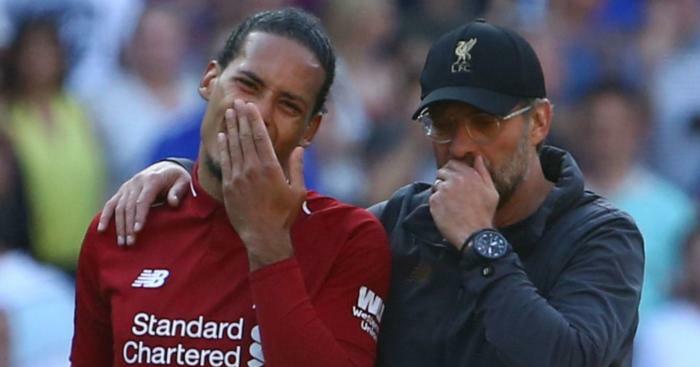 Klopp continued: “If Barcelona’s team of the last four years were the first one that I saw play when I was four years of age…with their serenity, winning 5-0, 6-0…I would have played tennis. Sorry, that is not enough for me. What I love is that there are some things you can do in football to allow each team to win most of the matches. All of which sums up Klopp’s football rather neatly. But it’s the heavy metal thing that stuck, and is basically the go-to, bite-size summary of his style of play for anyone who thinks ‘gegenpressing’ is a bit pseudy. 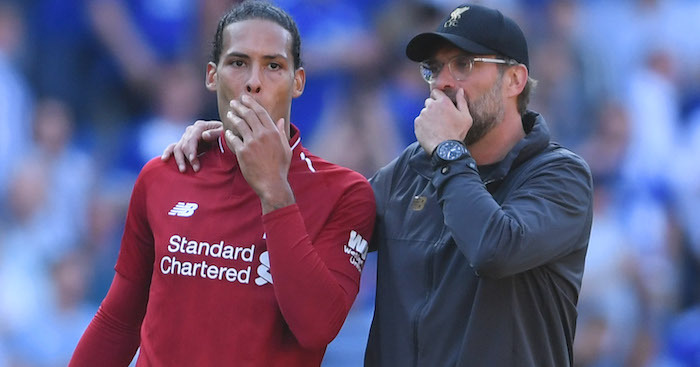 It works, too: Klopp’s players are encouraged to be relentless, loud, to disturb anyone they come up against. He thrives on volume, from his squad, himself, the crowd. But of course, as with all people who like to talk know, sometimes you say something you regret a little. 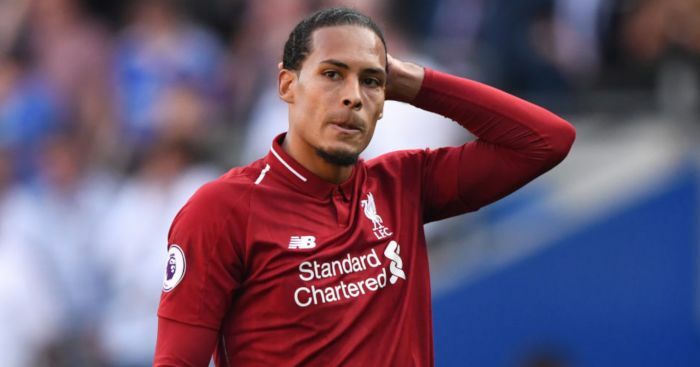 “It was a joke,” he said in an interview with the Daily Mail earlier this season. “I’m not into heavy metal. I mean, I used to like Kiss when I was young, but…” Illusions shattered, intros to articles ruined, questions from smart TV reporters ditched. Well, obviously not, because as we know, when something becomes lodged in the public consciousness, it’s tough to get out, like a bit of meat caught between your teeth. 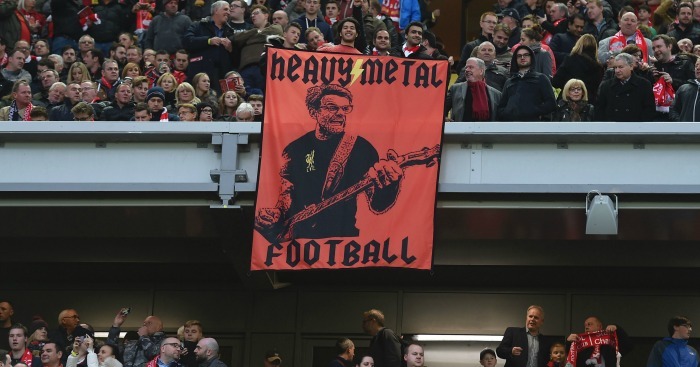 Jurgen Klopp, the man who doesn’t really like heavy metal that much, will always now be the heavy metal manager. Just be thankful there probably won’t be a microphone in front of you the next time you say something you don’t entirely mean.